Final Fantasy: The Spirits Within is a movie that look set to redefine CGI. "I've always wanted to create a new form of entertainment that fuses the technical wizardry of interactive games with the sensational visual effects of motion pictures," said Hironobu Sakaguchi, who created the Final Fantasy video game and directed the film. "The idea of Final Fantasy came about several years ago when I thought of making a fully-CG movie on the theme of the human spirit. In particular, I wanted to tell the story of life and death using lifelike CG characters." 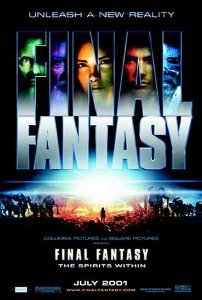 The story of Final Fantasy takes place in 2065, shortly after a meteor crash has brought an invasion of invisible but deadly alien beings known as Phantoms. Aki and her colleague Dr Sid are working against time to develop an organic solution to the Phantom menace, while military strategist General Hein lobbies for the use of the Zeus Cannon, a space mounted weapon whose destructive potential may have unintended consequences. Aki and Sid are aided in their efforts by Captain Gray Edwards and his elite command unit, known as The Deep Eyes, who help the scientists gather life form specimens whose 'spirit signatures' they believe can be combined into a wave of energy that will defeat the Phantoms. Aki's quest is also a personal one, as she has been infected by an alien spirit. While this infection is normally fatal, Aki and Sid have managed to stop the spread of the contagion. However, they know their improvised solution will not last forever. 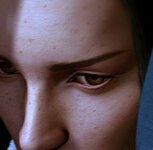 Since the launch of the Final Fantasy video game series in 1987, the animation and graphics in the game have become increasingly sophisticated, with each release setting a new standard for CG realism. "It's a natural progression to bring this style of animation to a feature-length motion picture," said producer Chris Lee. The research and development process for the film began nearly four years ago, when production company Square Pictures, began recruiting what would eventually amount to more than 200 CGI artists and nearly 30 programmers from all over the world to staff its production studio in Honolulu, Hawaii. The film stands as a testament to the overall vision of Sakaguchi and the efforts of the many artists whose work has been seamlessly incorporated into a whole. Although animated films have made use of digital technologies for many years, either mixing traditional cell and CG animation as in Titan AE, or remaining entirely digital, as in A Bug's Life, Final Fantasy is one of the first animated films to attempt a realistic reproduction of complex human characters. "We have created technology to expand the envelope of what is possible for computer-generated human characters," said Lee. "None of us is saying that we're making photo-real people. But here, there's no disconnect between reality and the computer-generated images. This is a chance to tell a great human story within a completely different medium."